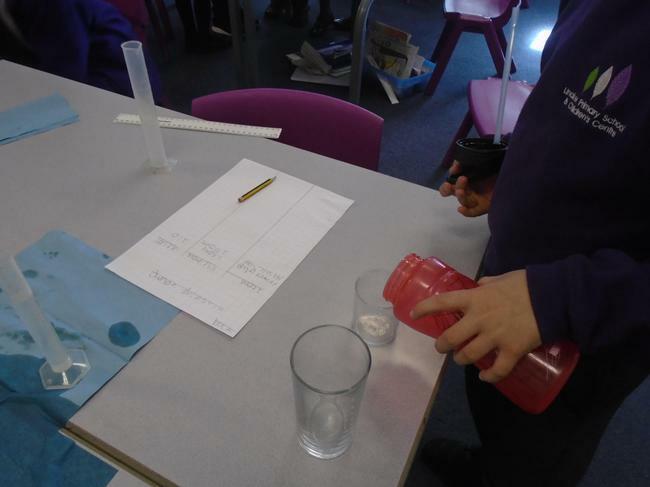 As this week has been British Science Week, we have been very busy squeezing in extra investigations and skills. 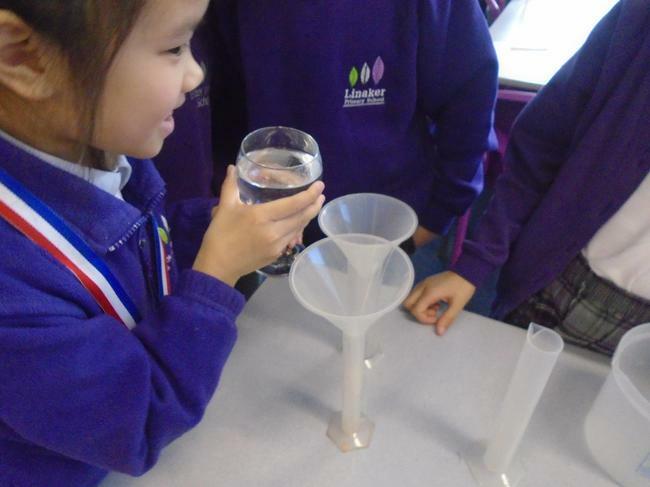 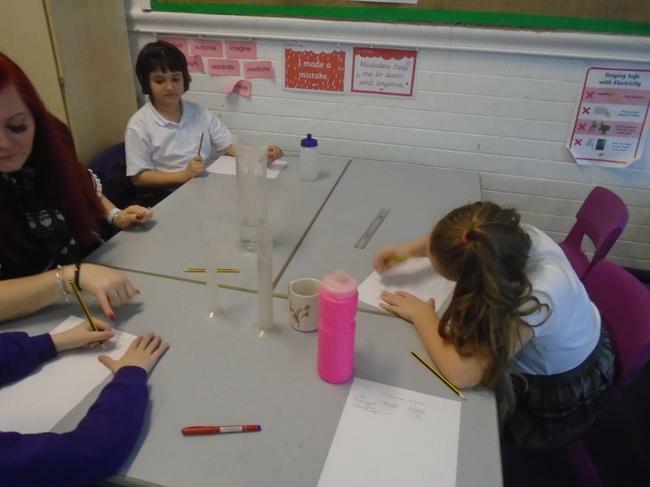 As you'll see below, we focused on accurate measurement in maths and also spent some time observing how water is surprisigly willing to take a journey out of one pot and into another (when helped along by kitchen paper). 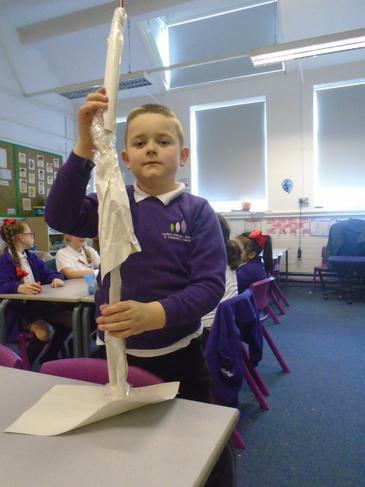 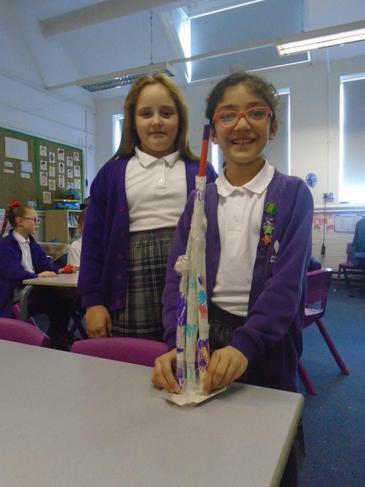 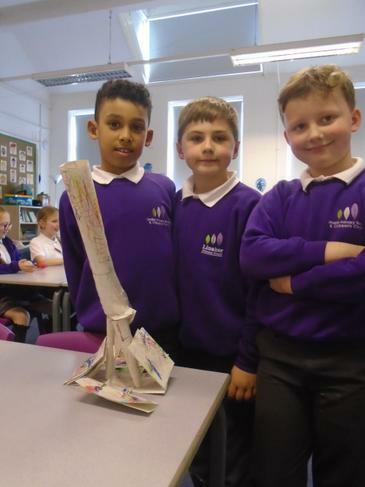 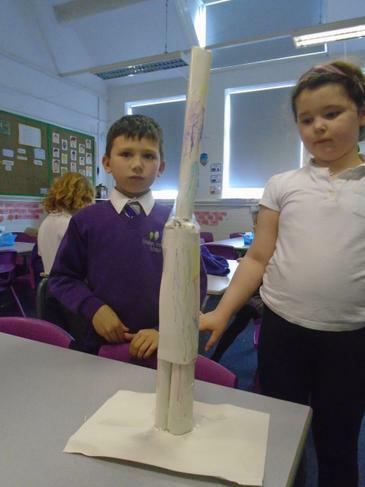 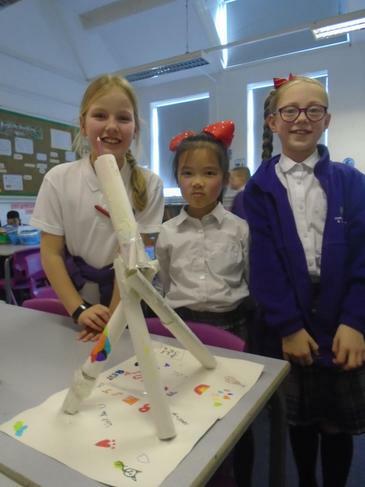 Mr Hirst's class also took on the challenge of using their scientific and technical knowledge to try to build him a high rise pencil holder for the side of his desk using only 10 sheets of a4 paper and some tape! 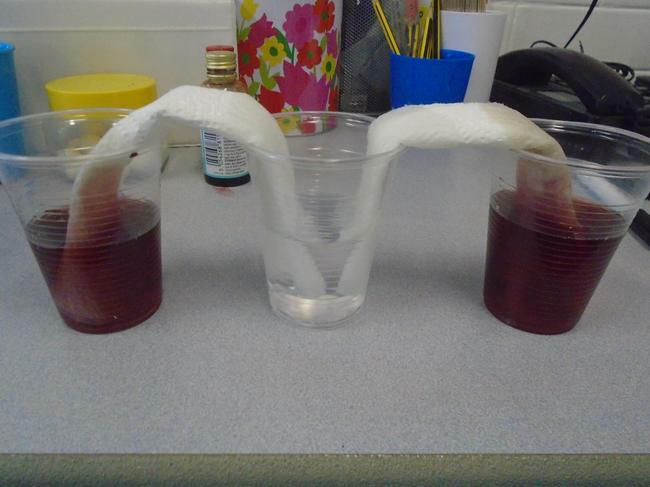 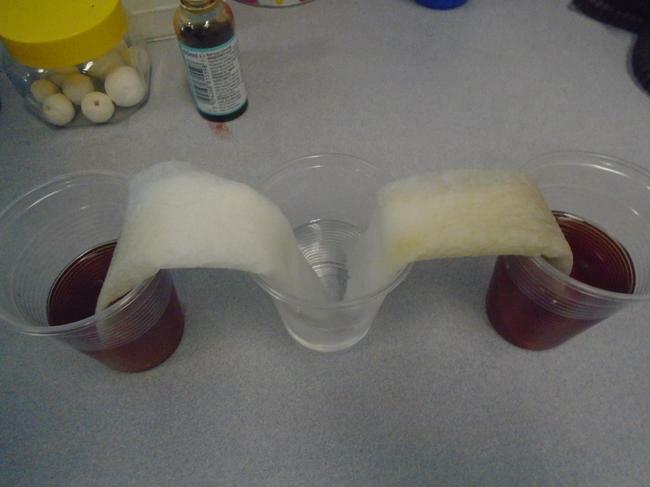 We set up an experiment to see if water could really walk. 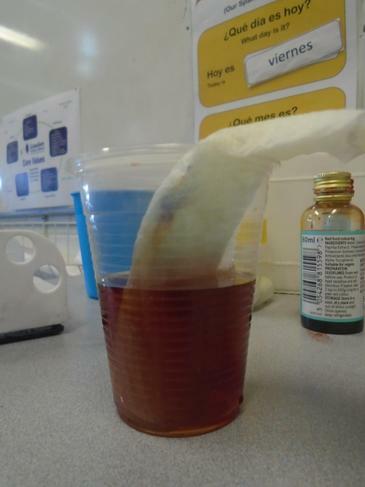 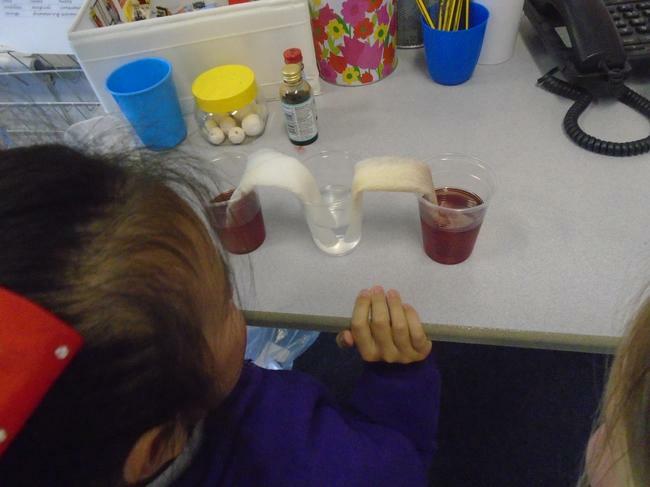 We used cups, food colouring and kitchen roll. 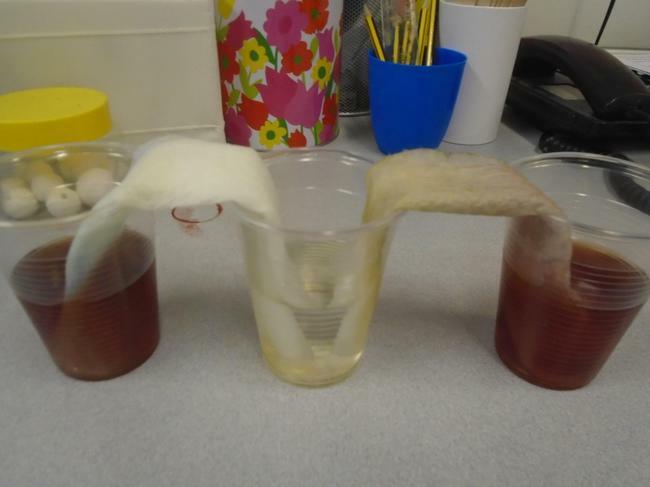 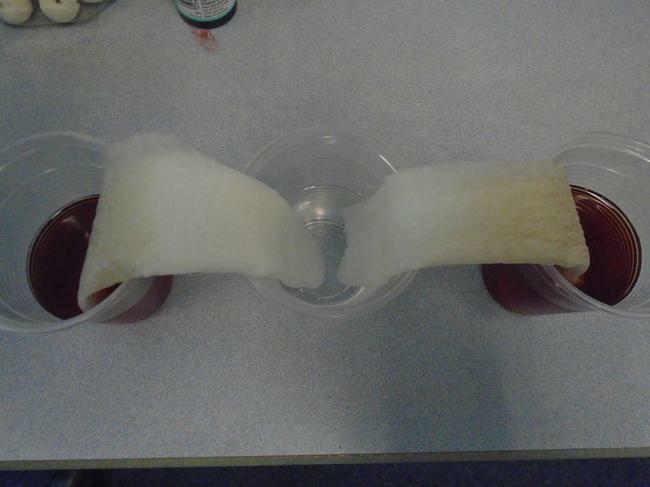 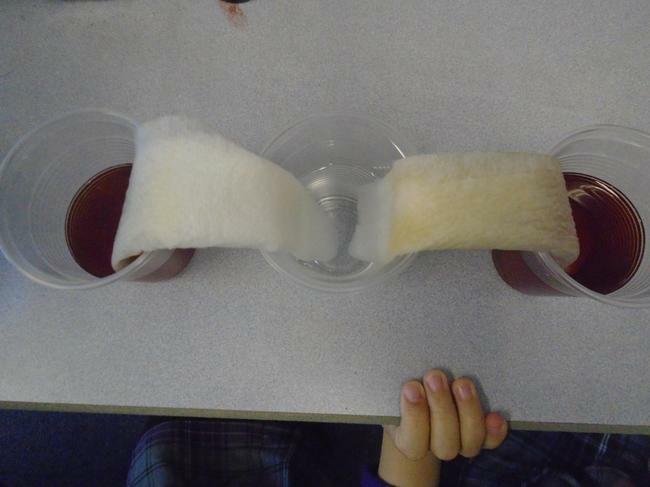 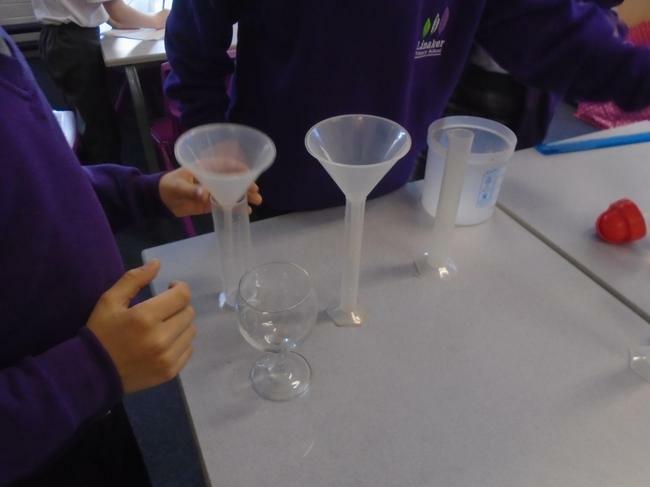 We used less kitchen roll in the second experiment to see if the results would change, but we made sure that the amount of water used in each cup in both experiments was the same to make the test fair.